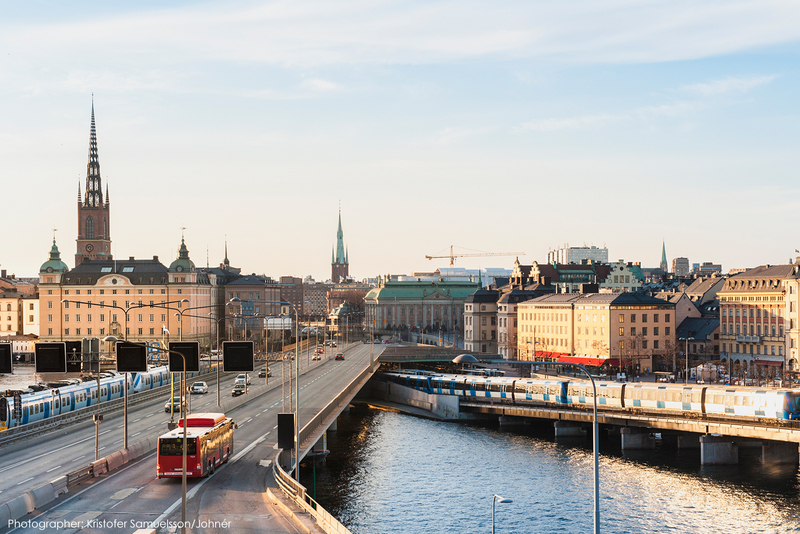 There are many reasons why Stockholm is world-renowned for its beauty and excellence. Flaunting state-of-the-art transport systems in a city flush with greenery, Stockholm represents the best collaborative work of man and nature. Yet, perhaps the most breath-taking sights in Stockholm could be found deep below the city’s surface. In 1957, in the midst of a cultural boom in Sweden, artists began decorating new metro stations in Stockholm with paintings, murals, sculptures, and stunning mosaics. When they stopped building new stations, the artists continued their work on older stations. As a result, the world’s longest art exhibition lines the walls of the city’s metro network, consisting of over 90 stations and spanning 110km long. The idea for art in the metro stations was meant to challenge the 19th century European view that art was made for the societal elite. In Sweden, particularly during a cultural revolution fuelled by the political ideology of the Swedish Social Democratic party, people wanted to make art more accessible to all. These walls tell a story articulated through decades of artists, accessible to each passenger journeying through the depths of the city. The first station with artwork, and perhaps the most iconic, is T-Centralen, the central station within the Stockholm metro network. This is known as the “blue” line-platform. The artist, Per Olof Ultvedt, is claimed to have chosen the colour blue to create a calming atmosphere in a typically bustling station. One of the first cave stations in Stockholm is Stadion station. In 1973 when the station was built, cave stations were a bit of a taboo. According to art guide Marie Andersson, there were actual fears that associated these caves with the “netherworld” and other dark places. As a contrast to that, artists Åke Pallarp and Enno Hallek, literally painted the sky on the walls of the station, with a bright blue backdrop and an overarching rainbow. Aside from just being beautiful, much of the artwork also reflects political discourse. The station of Solna Centrum, opened in 1975, features a stunning green forest against a deep sunset-red landscape. The artists Karl-Olov Björk and Anders Åberg chose to illustrate some of the most debated political issues of the time: the environment, over logging of the forest and the depopulation of rural areas. It is no coincidence that our next Global Public Transport Summit in Stockholm celebrates the theme ‘The Art of Public Transport’. We were inspired by these incredible metro stations as we started to plan for June 2019! The art of public transport might appear a bit obvious in Stockholm; but our theme goes much further beyond the fine arts displayed in the metros. 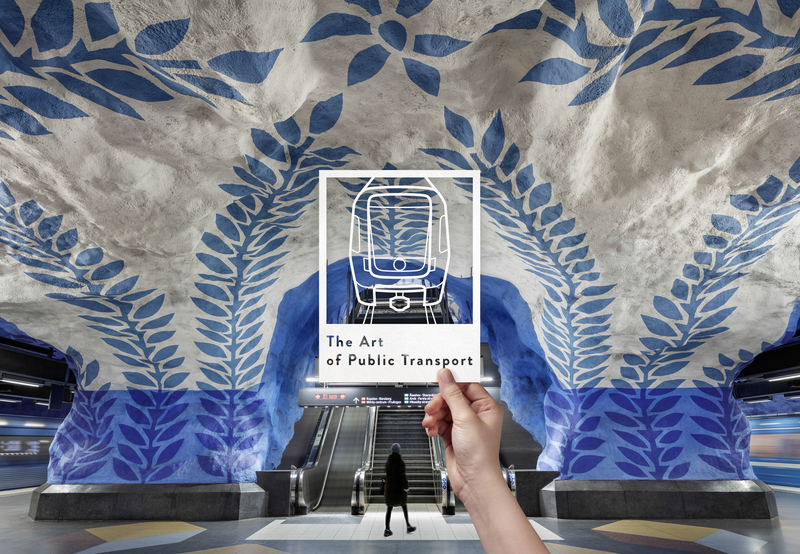 Among Stockholm’s many artists, the true artist that stands out the most for us is SL, as they strive for excellence in every aspect of their public transport creations. Don’t believe us? Come see it for yourself on 9-12 June 2019! As you move through the metro from line to line, you will find yourself so comfortable and at ease, that you might end up continuing your public transport journey for hours. And then, you might wonder, who is the real artist behind that experience?